Students entering the MatSE graduate program have undergraduate degrees in a number of scientific and engineering disciplines, e.g., Materials Science and Engineering, Chemistry, Chemical Engineering, Physics or Mechanical Engineering. Admission to graduate study in the Department of Materials Science and Engineering is based on undergraduate performance, standardized test scores, a statement of purpose, and letters of recommendation. Students applying with a bachelor’s (or equivalent) degree without a master’s degree and intending to pursue a Ph.D. should apply directly to the Ph.D. program (not to the M.S. program). M.S. degree may be obtained during the Ph.D. program once requirements for M.S. have been met). The following conditions must be met in order for an applicant to be considered for admission and financial support. Cumulative GPA of at least 3.0/4.0 (4.0=A) is required. Successful applicants to our program generally have a much higher grade point average. GRE General Test (Verbal, Quantitative, and Analytical). No minimum score or subject test required. English Proficiency (international students only). All applicants whose native language is not English are required to submit the results of the TOEFL or IELTS as evidence of English proficiency. Official scores are required to be submitted directly from TOEFL/ETS or IELTS. Scores required for full admission status: TOEFL-104/ IELTS greater than 7.5. Scores must be less than 2 years old at the time of admission. The TOEFL/IELTS requirement will be waived if the applicant has completed at least two years of full-time study (4 semesters) or has earned a graduate degree at a U.S. college or university, or has studied in or resided in a country where English is the official language and the primary medium of instruction. Applicants who do not receive offers of admission to the Ph.D. program may request to be considered for the M.S. program without filing a separate application. Instructions for this request may be found in the decision letter for the Ph.D. program application. Financial Assistance - All applicants to the Ph.D. program are automatically considered for financial support in the form of a research assistantship. Research assistantships in materials science are paid out over 12 months and include a full tuition and partial fee waiver. Proof of funding is not required for Ph.D. applicants. Applicants are encouraged to apply for external fellowships. Students applying to the M.S. program are typically considered for a non-thesis degree. Only under special circumstances (e.g., when there is an agreement with a faculty member to carry out thesis research), can students apply to the M.S. program with the thesis option. The application requirements for the M.S. program are the same as those listed above for the Ph.D. program. The MS degree in Materials Science and Engineering typically requires 1.5-2 years to complete. The Program Code for M.S. study is 10KS0130MS; Ph.D. study is 10KS0130PHD. Applicants must indicate their field of specialization or area of research interest. By using the online system, your application is available to us immediately upon completion of the payment transaction. Please read all instructions carefully before starting the application process. Please do not send copies of your online application to the Department. For questions regarding the application process, contact the Department Graduate Admissions Officer. The following requirements must submitted for an applicant to be considered for admission and financial support. The application fee may be waived in some instances as described in more detail at the Graduate College website (http://www.grad.illinois.edu/application-information). *Final or original transcripts will only be required if admission is offered. 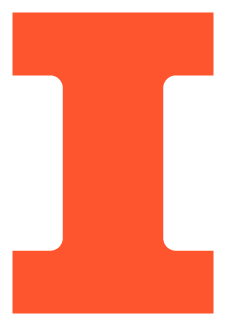 The University of Illinois institution code for reporting test scores is 1836. International applicants receiving financial assistance from the Department are not required to complete the Financial Certification Form. International applicants who are admitted with outside financial assistance (government scholarships, corporate support, or personal funds) are required to submit the Financial Certification Form. Graduate applications are accepted for the spring and fall semesters, however a spring applicant is admitted only by request of a MatSE faculty member. Fall applicants are admitted at large and typically choose an advisor after arriving on campus and interviewing with professors who have openings for new students. The review of applications typically begins prior to the deadline and early offers of admission may be extended to outstanding applicants. Early submission is encouraged. Applicants can check the status of their application at https://my.matse.illinois.edu/gradstat. Log in with your email address and date of birth used in the Apply Yourself application system. Please note: Information may not be immediately available as some documents have to be manually scanned and uploaded. Applicants who are admitted to the Ph.D. program and reside in the United States will be invited to participate in a weekend visit on scheduled dates, typically in March. The Department covers travel and local expenses for these visits. The visit weekends include faculty research presentations, facility tours, interviews with faculty members, campus and apartment tours, and social activities coordinated by current graduate students. General information on graduate study at the University of Illinois is available from the Graduate College. College of Engineering also hosts Multicultural Engineering Recruitment for Graduate Education (MERGE) which is designed to give talented underrepresented students from across the nation an opportunity to visit our campus early in the application process in order to learn about the opportunites at Illinois.